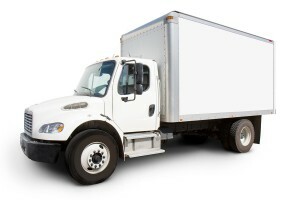 If you are a moving company you need a good agent to help you find the best options on Dallas Moving Truck Insurance. Call us at 800-998-0662 Monday-Friday until 5 PM CST to speak with one of our licensed agents or click on Insurance for Moving Company Dallas to submit your information to us online. We are available 7 days per week for new quotes and coverage when you use our Chat system. 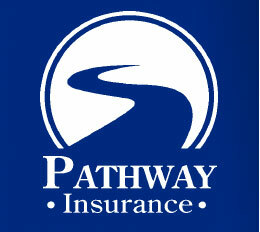 Pathway Insurance offers Business Auto Insurance for Movers in Texas, Florida, Georgia, Tennessee, Kentucky, Indiana, Ohio, Michigan, Minnesota, and Maryland. Cargo coverage is also available. If you are not a moving company and found our website by accident, but you need to purchase automobile insurance to cover a moving truck click on Dallas TX Moving Truck Insurance. Insurance for Moving Companies Dallas TX – Is This Claim Covered? Terrance accepted a promotion from the company he works for and is moving to Dallas. Rather than pack and move everything Terrance and his wife Judy decide to hire movers. Mandel and Sons Moving Company offers them the best deal. Terrance and Judy believe they are in good hands. On the day of the move Mandel and his sons are getting a walkthrough of Terrance and Judy’s house. They have some of the smaller items already packed up, but there are some items they are paying Mandel to pack for them. Larger items need to be wrapped properly and handled with care. One of these items is an antique upright piano that has been in Judy’s family for four generations. Because the panel is quite valuable Judy had purchased special insurance to cover her piano. Mandel is given specific instructions on where everything should be placed in their new home. During the move it begins to rain. The storm seems to follow Mandel and his sons as they travel to Terrance and Judy’s new home. When they arrive at the new location Mandel and his two employees begin to unload the truck. Finally it comes time to moving the piano. Large pianos are always a challenge for movers and this one is particularly difficult. As the movers are carrying the piano down the truck ramp, Vincent loses his grip and at the same time Mandel’s left foot slips on the ramp and the piano crashes to the street. Unfortunately this $10,000 piano is ruined! Judy contacted her homeowner’s insurance company to cover the damages and they pay the claim. Later Mandel gets a notice he’s being sued by Judy’s insurance company! They contend his company’s negligence led to the damages of the piano and are seeking reimbursement. Will Mandel’s moving truck insurance defend him and pay for any claims in reference to this ruined antique furniture? Important questions to learn if you are searching for new insurance for moving companies in Dallas Texas! Insurance for Moving Companies Dallas – Call Us First! Call 800-998-0662 and speak with the agents of Pathway Insurance when you need advice and good coverage when shopping for Moving Truck Insurance in Dallas Texas. We are available seven days per week when using our Chat system. For your convenience you can also request an online quote by clicking Business Auto Insurance for Movers Dallas.